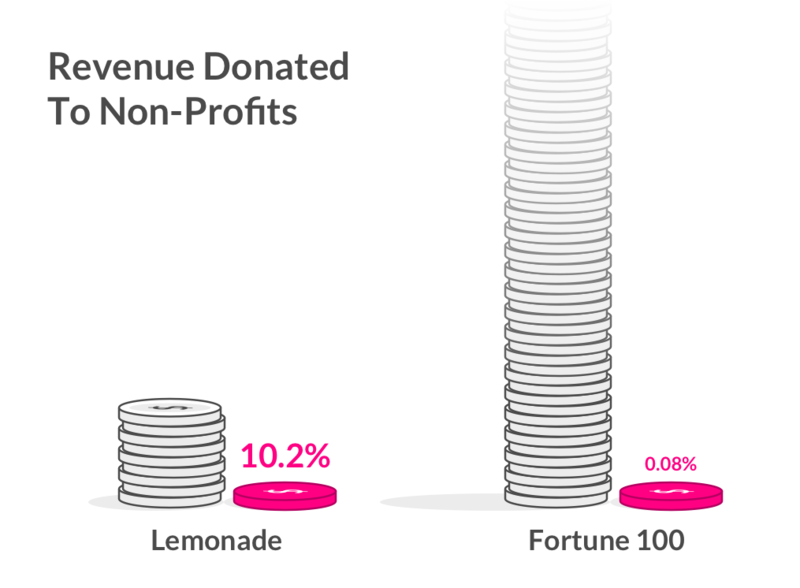 Once a year, mid-year, Lemonade gives back underwriting profits to nonprofits. Today is Giveback Day, and we wanted to share some of the stats, implications and feelings. 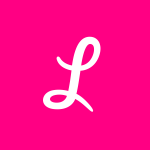 A quick reminder: when you sign on for Lemonade, we ask you to choose your ‘Giveback’ cause. People choosing the same cause form a ‘virtual group;’ behind the scenes, we use their premiums to pay their claims, and we Giveback any leftover money to their common cause. So how much is the 2017 Giveback? In dollar terms, the 2017 Giveback is $53,174, amounting to 10.2% of the revenues Lemonade recognized from its September launch until June 30th. 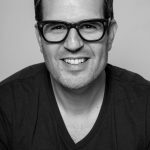 Accounting rules mean that Lemonade’s rapid growth will only be recognized in next year’s revenues, holding the promise of an exponentially larger Giveback in years to come. So while dollar amounts are important for evaluating the impact of the 2017 Giveback, percentages provide a ‘leading indicator’ for how impactful Giveback can be as the business scales. In this report we’ll cover both. We had 21 cause-centric-groups as of June 30, and 14 (66.6%) received a Giveback. Among those 14, the average Giveback is 18% of its members’ earned premiums. All told, Giveback this year amounts to slightly over 10% of our revenue. As a point of reference, the Fortune 100 give 0.08% of their revenues each year (CECP p.36). So if year-one is anything to go by, Giveback has the potential to 100X that benchmark. Time will tell, but it’s an encouraging start. Beyond the change in scale, Giveback is a change in kind, because it isn’t dependent on profits (Lemonade hasn’t turned a profit yet). We think of Giveback as a social contract among our community, where the size and allocation is determined not by our big profits or big hearts, but by the good fortune and good behavior of our members. As you’d expect, the fortunes of our members varied, dependent on claims. Some groups had no claims at all, and 40 cents of every dollar these members paid went to their cause. These include MEET (bringing Palestinian and Israeli youth together through technology) and New Story (transforming slums into homes). The New York Society for Prevention of Cruelty to Children (The NYSPCC) came close, with a 36% Giveback (meaning their supporters had only a 4% ‘loss ratio’). Other causes had a bunch of claims, leaving nothing for Giveback this year. Unfortunately, the Friends of Firefighters, for example, won’t be getting a Giveback this year, ironically because of a huge fire-related claim. Hopefully, next year they will. The model always predicted that not every group will get a Giveback every year, though we hope most groups will have more good years than bad. Again, time will tell. charity: water’s mission is to bring clean and safe drinking water to every person in the world. Through the 31% Giveback to charity: water, Lemonade members financed the rehabilitation of a well serving an entire community in Malawi! Citymeals on Wheels funds weekend, holiday and emergency meals to homebound elderly New Yorkers who can no longer shop or cook for themselves. The Lemonade team hand-delivered meals to homebound elderly New Yorkers for July 4th, with the 16% Giveback funding 592 meals. New Story builds safe homes for the homeless, and aims to transform slums into thriving communities in the developing world. They help people like Ernesto & Vilma Elizabeth Alfaro Quitéño, who lived with their two children in one room in the back of a family member’s house in El Salvador. That one room served as their bedroom, living room and kitchen. No longer. Through the 40% Giveback, Lemonade’s members have built a new home for the Quitéño family, from start to finish! Robin Hood Foundation finds, funds, and creates programs and schools for families in NY’s poorest neighborhoods. Through the 6% Giveback to Robin Hood, the Lemonade community provided one night of safe shelter for 35 families. Women In Need (WIN) provides safe housing, critical services, and ground-breaking programs to empower homeless women and children. Through the 14% Giveback, the Lemonade community funded a childcare center with food, formula and diapers for six months. The Giveback is going to meaningful places, impacting causes our community cares about, whether across the street or across the globe. For us, Team Lemonade, this is deeply gratifying. At the end of the day, ‘it’s not our money.’ It’s money our community has entrusted to us, first and foremost to help our members recover from unfortunate events in their lives, and secondly to help the less fortunate in our broader community. We feel privileged to do both – and are grateful to our community for the trust and support. ACLU aims to protect and defend American rights, values, and liberties. Through the 2% Giveback to ACLU, the Lemonade community supported the ACLU’s Project on Speech, Privacy, and Technology, which works to protect freedom of expression in its many forms, including protest, media, online speech, and the arts. American Red Cross prevents and alleviates human suffering in the face of emergencies by mobilizing the power of volunteers and the generosity of donors. The 5% Giveback will go towards providing meals to 50 people post-disaster. Code To Inspire teaches Afghan female students how to code in the hopes to create social, political, and economic equality. Through the 4% Giveback to Code To Inspire, Lemonade members financed six months of sustainable energy for the school where girls study coding in Afghanistan! Evolve Creative Alliance partners with public and charter schools to provide students with a positive environment and a holistic experiential education. Through the 11% Giveback, the Lemonade community bought a week of supplies for hands-on activities and experiential learning for 1st and 2nd graders in Evolve Creative Alliance’s Explore Express Afterschool program. Feeding America’s mission is to feed America’s hungry through a network of member food banks and engage the country in the fight to end hunger. Through the 19% Giveback to Feeding America, the Lemonade community provided 33,924 meals to hungry Americans. Make A Wish foundation grants wishes for children diagnosed with a life-threatening medical conditions every 37 minutes, on average, in the United States. Through the 0.5% Giveback, the Lemonade community was a part of granting a child’s one-true-wish. MEET brings together young Israeli and Palestinian leaders to create positive change through technology and entrepreneurship, in partnership with the Massachusetts Institute of Technology (MIT). Through the 40% Giveback to MEET, the Lemonade community sponsored a field trip for young Israeli and Palestinian leaders to meet with tech industry leaders. The NYSPCC (The New York Society for the Prevention of Cruelty to Children) offers and promotes programs that prevent child abuse and lessen its harmful effects. Through the 34% Giveback to The NYSPCC, the Lemonade community supported sexual abuse prevention workshops, which teach children what to do if they ever feel at risk. Teach For America works to give all children in the United States the opportunity to attain an excellent education. They enlist, develop, and mobilize teacher volunteers called corps, helping them to become teachers who can dramatically expand their students’ opportunities. Through the 32% Giveback to Teach For America, the Lemonade community supported the recruitment and training of veterans, members of the guard and reserve, and military spouses to become teachers. 2016 was an incredible year for Lemonade. Want the details? We will be revealing all in our Lemonade Transparency Chronicles.